Alec Sand delivers a majestic performance of this collection, Native American Tales, Myths, and Legends. His steady, calm voice befits the material, which is primarily drawn from tribes such as the Algonquian, Iroquois, and Sioux, who reside in northern and central areas of North America. There are also stories that originate from the northwest Pacific Coast. These narratives stem from an oral tradition, passing from elders to youths. The legends feature people who must surmount difficult challenges or dangerous journeys, as well as animals such as beavers, coyotes, and bears. Some legends tell of heroic men and women struggling against the giant forces of nature; others of mischievous animals like blue jay and coyote, or of perilous journeys and of the origins of traditional customs. Recited as part of religious ceremonial or simply as a form of entertainment, these tales were passed from parent to child as a way of explaining the present through the past. I love these stories and think they are great, I have always been interested in Native American myth and legend so I'm glad these were available. That being said, the narrator uses a very obviously fake 'Native American accent' which was not only difficult to understand but was incredibly offensive. He managed to take stories that are beautiful and cheapen them. I wasn't able to finish this audiobook as I could no longer stomach the narration. big fan of myths and lores. this certainly scratched that itch. very well narrated. Fantastic. Very nice stories full of culture. 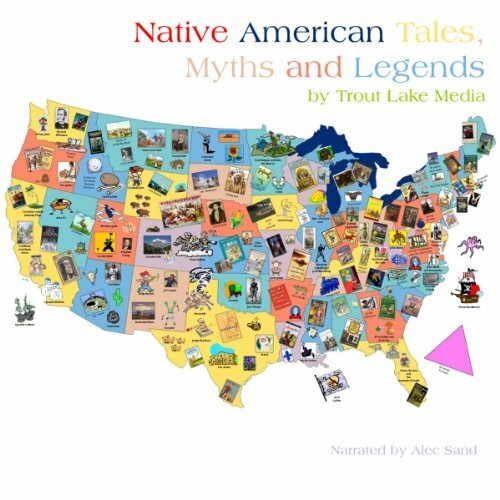 Would you listen to Native American Tales, Myths and Legends again? Why? Yes. Always nice to learn culture. The originality of the stories and the double meanings . What about Alec Sand’s performance did you like? If you could take any character from Native American Tales, Myths and Legends out to dinner, who would it be and why? Nice book full of original culture.